The ongoing economic crisis in Russia, with the income of its citizens falling the fifth year in a row, makes people save on everything from foods to travels. According to a recent survey conducted by the Public Opinion Foundation (FOM), even more Russians had to tighten their belts in 2018. Russians face drastic consequences from the Western sanctions imposed on Moscow’s alleged support of separatists in Eastern Ukraine, and Russia’s incorporation of Crimea in 2014. Among the respondents surveyed by FOM, 38 percent said they had to save on buying eggs, vegetables, chicken, meat products, dairy products, and groceries. Russian economists are not surprised by the data, says a professor in the Institute of Political and Social Studies in the Russian Academy of Science Igor Bogdanov. “The pauperisation of the population has been sort of pre-planned by the government because the federal budget bears no signs that the economic situation, or investments into social sphere will rise at least until 2020”, he said. Eight percent of those surveyed said they cut smoking – perhaps the only positive result of the economic hardships. Still, the FOM sociologists found that there is one item Russians would never limit themselves to, even in the hard times, and that is books. 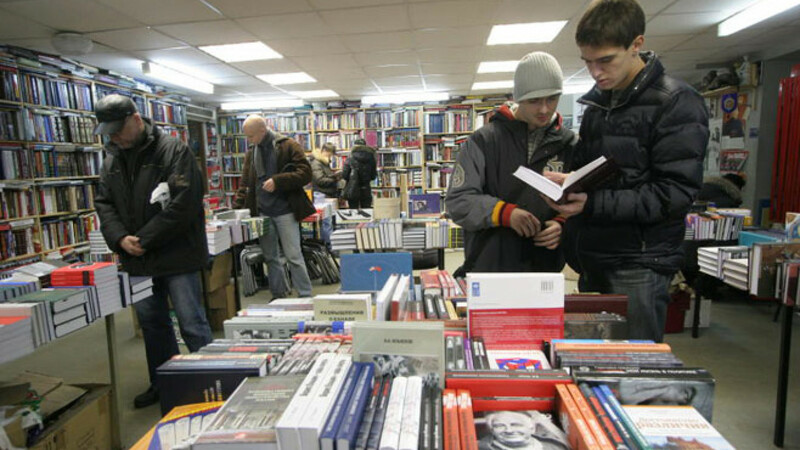 Braving the statistics showing that 80 percent of the country’s households lived on the brink or below poverty line in 2018, the same statistic showed that Russian have bought seven percent more books than in the year before. Sale of books for kids skyrocketed over the last year, with a 23 percent growth compared to 2017. The phenomena might reflect not only the nation’s traditional love for reading, but the fact that quality education has been the only “social elevator” left for the Russian youth, academician Alexei Semenov believes. “Nowadays in Russia, it is not enough just to have high marks for school curricula to make it to university. If one wants to be admitted into a university no-fee programme, a student must go miles ahead of competitors with competition being really tough”, he explains. For good or for bad, Russian students learned it on their personal, however unmatured experience that public schools do not teach the children how to obtain the most important skill of all: the skill to think independently, another academician Mikhail Ryzhakov agrees. “It is unclear what came first, the chicken or the egg. Whether it has been due to the debilisation of school programmes that students lose their thinking abilities, or vice versa, the schools have to adjust their programmes to the decreasing level of pupils”, he said. Another obstacle faced by young people in Russia is that even admission to a university does not guarantee a graduate safe pass to the job market, adds the head of the JobFair project Denis Chernyshev. “Ailing economy offers no incentives to obtain quality education. In turn, universities don’t supply the economy with workforce skilled enough to meet modern challenges. Unless the Russian authorities abandon its policy of social conservation with no free market competition allowed, we may have the second lost generation by 2025”, he foresees. The Boston Consulting Group calculated the same year that over 80 percent of the Russian workforce lack skills and expertise demanded by the modern economy. According to BCG, Russia will pass the point of no return and fall behind developed countries indefinitely unless serious improvements are implemented over the next ten years.